We hear this question a lot from our customers. It’s a common theme around the construction process. If you’re not intimately involved, you’ll often be left wondering what the next step is. And for those working within the industry, it’s easy to gloss over the step-by-step breakdown of how this process normally goes. We are excited to announce we’ve finally rolled out a resource we hope will be helpful to you as you work with us. Once you click this tab, a page with a timeline and a thorough breakdown of each step along the way will be at your fingertips. 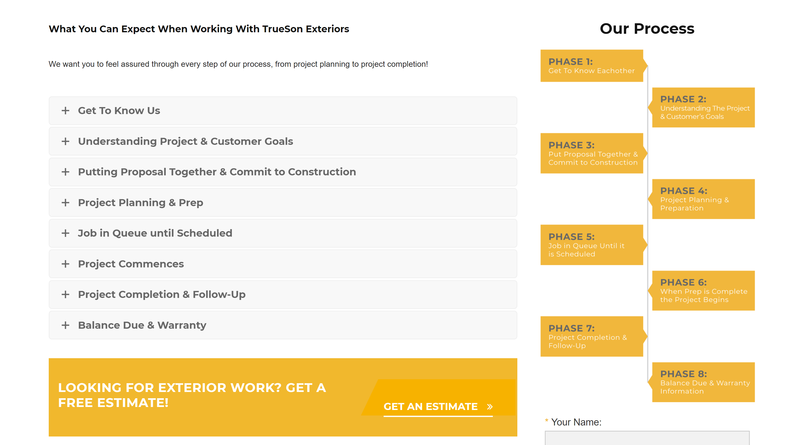 From the initial meeting to the warranties you’ll get after your project has been completed, each step of the way has been broken down in understandable language. We have even included photos of the people you’ll be working with at each stage of the construction process! Your home is your biggest investment, and we want to help take all the guesswork out of improving it. Check out Our Process and give us a call today for a free estimate at 573.442.7292!